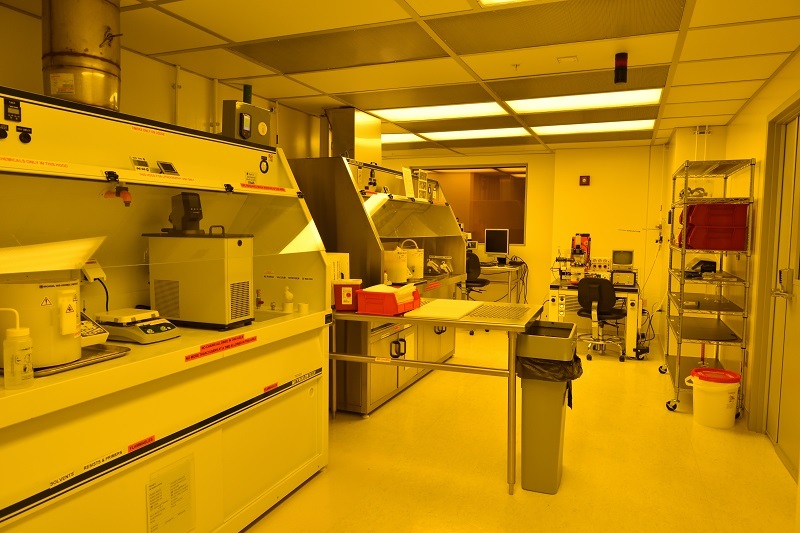 Hood 1 contains all photoresists, spinners, and hot plates used for photolithography processes. Hood 2 contains all electron beam resists, spinner, and hot plates used for electron beam lithography and is also suited for basic pattern development. Hood 3 offers a wide range of developers and removers, an ultrasonic bath, and hot plates to assist in all non-acidic development and wafer cleaning processes. Hood 4 offers the safety equipment and chemicals necessary for acidic wafer development. Hoods 1, 2, 3, all offer acetone, IPA, methanol, and DI water.